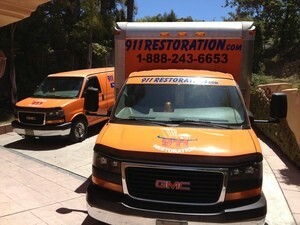 Solving all of the complicated eccentricities of a ceiling leak, pipe burst, or water heater collapse can be daunting and that is why the work is best left to professionals like 911 Restoration Portland owner Yoav Gueron, and his water damage Tualatin team of experts to be done properly. 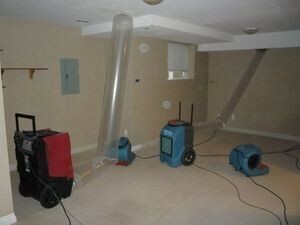 Yoav and his water damage team out of Tualatin know that the best way to keep water damage from increasing in destructive capacity and maintain low costs is to be at the scene of an event quickly. In addition to being able to arrive quickly and provide high quality restoration services to those in need, Yoav and his team can also take on projects in the dead of night with technicians available 24/7/365 no matter what. 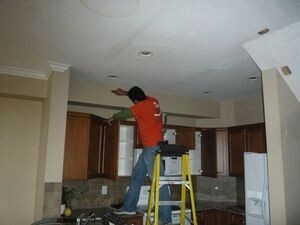 This is the kind of superior restoration excellence you can expect with Yoav and his water damage team out of Tualatin. If your home is amid a water damage event of any kind, from a pipe burst to a ceiling leak that spread to all floors, Yoav can handle it for you and you should give him and his Tualatin team with 911 Restoration Portland a call today! When it comes to solving the challenges that a water damage scenario presents, there is no one more qualified and capable for the task than Yoav and his water damage team out of Tualatin with 911 Restoration Portland, but they are also specialists at prevention measures as well. “The phone doesn’t stop ringing with people asking for advice and help with preventing water damage situations, and so in an effort to help people we have compiled a comprehensive list of ways to do simple maintenance around the house to keep things safe and dry,” Yoav says. Give some attention to your gutters and downspouts to make sure that they are free of debris and leaf matter before the rainy season starts. This will prevent overflows which can damage a roof line extremely quickly. Inspect the connectors on your water-based appliances to make sure that there are no small cuts which may turn into large ruptures over time or under heavy pressure. At the discharge point for your downspouts, point the outflow away from the foundation to keep runoff from accumulating and causing liquefaction to occur. Have a licensed, bonded and insured professional come and fully inspect your system to make sure there are no little issues which may develop into more costly ones if left unchecked. “This is a short version of a much longer list of tips and tricks for maintaining a home and keeping it water damage free no matter what season it is, so if people have any questions, they should feel free to contact our team anytime,” Yoav explains. If your home is about to be filled up with water from a ceiling leak or a pipe burst fun amok, then contact Yoav and the water damage Tualatin team with 911 Restoration Portland today! Yoav and the water damage team out of Tualatin know all there is to about this business, and in their time in the field they have seen and solved every kind of challenge that pops up with ease. The job that Yoav and his Tualatin crew took on was for a homeowner who had just remodeled a new house with an old plumbing system. The renovation took place over a few months, and when they turned the water on again, it was in the middle of winter and a pipe had burst during construction that no one knew about because the water was off. Yoav and his crew out of Tualatin took care of it all, and in the end they even helped out with all of the insurance paperwork as well to give the homeowner a complete and comprehensive experience. If your home is under water from a pipe burst during construction, or if you just want to learn how to prevent these situations from ever happening at all, then don’t hesitate to contact Yoav and the water damage Tualatin team with 911 Restoration Portland today!